My mom took me to a dentist (a family friend) when I was 6 years old. He showed me all his equipment and how everything worked. I thought this is the greatest profession. I would be able to help people and work with neat stuff. Since that time, I have worked hard to become a leader in dentistry. My extensive postgraduate training in sleep disorders, temporo-mandibular joint dysfunction, and headaches has allowed me to treat and provide relief for hundreds of patients all over the United States. Being a member of the prestigious American Academy of Cosmetic Dentistry has inspired me to constantly learn the latest in cosmetic dentistry. I graduated at the top of my class from New York University College of Dentistry. Then, I served as a Captain in the U.S. Army Dental Corps. I was assigned to serve in Vietnam and received the Bronze Star for my service there. I am a Fellow in the Academy of General Dentistry with over 2,500 post grad continuing education hours earned. I am a member of the American Dental Association, Maryland State Dental Society, Southern Maryland Dental Society and have served on the state Peer Review Committee. 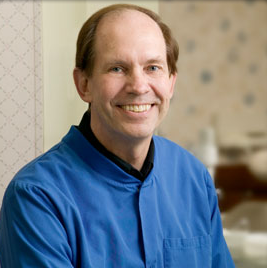 I was awarded "America's Top Dentists" status in 2012. I am a member of the American Headache Society, the American Academy of Sleep Medicine and the American Academy of Dental Sleep Medicine. Also, I wrote an article for the American Headache Society's journal("Headache") describing a successful treatment of a very difficult case. I was President of the local chapter of the Alpha Omega International Dental Fraternity and served as a co-chairman of a section at the International convention. I was a founding member of the International Association for the Study of Pain. I was also a very active member in the American Academy of Craniofacial Pain. I have given lectures at the Diabetes University at Montgomery College titled: "Sleep Apnea and Diabetes" and "Diabetes and Periodontal Infection." I have lectured at the D.C. Veterans Administration Hospital, University of Maryland Headache Center, AO Dental Fraternity, Potomac Valley Dental Study Club and the Chevy Chase Millennium Study Club. Topics that were discussed: dental occlusion, headaches, sleep medicine and oral facial pain. I enjoy traveling, running, reading and raquetball. I have served as a coach for Montgomery Soccer. I have served various positions in the Montgomery County Swim League from timer to referee. I have served as president of our local civic association, served on various committees for the local PTA and volunteered at our local nursery school.